Roughly every 28 days our body creates a new layer of skin. When new cells form, they push their way to the skins surface. As you begin to age, this system begins to slow down resulting in skin appearing less radiant. Clogged pores, breakouts, uneven texture and a dull appearance can also form if the skin doesn’t shed correctly. Microdermabrasion is available in the SHAW Center Spa and is a non-invasive exfoliating procedure that aids in repairing acne scarring, sun-damaged skin, age spots, freckles, stretch marks, fine lines, scars, and rough skin. The treatment can be done on the face, neck, chest, hands, back, elbows, feet, almost anywhere! Depending on your skin, the treatment can take anywhere from 15-40 minutes. A moisturizing sun block is then applied post procedure. You can expect to have a mild, temporary pinkness in the treated area. Like the majority of other procedures provided in the SHAW Center Spa, the treatment doesn’t have any “down time” and you can return to work and other standard activities instantly. The treatment is conducted utilizing a jet of fine mineral crystals that are brushed over the skin’s surface by forming a soft vacuum. The crystals then sit on the skin accompanying dead/damaged skin cells. The crystals softly exfoliate about 20-25 microns of dead skin cells of the outermost layer, leaving younger looking skin to appear. In order to achieve optimal results, it’s recommended to have several treatments. Treatments are usually scheduled two to three weeks apart. Throughout your tailored treatment program, you’ll experience gradual improvement. 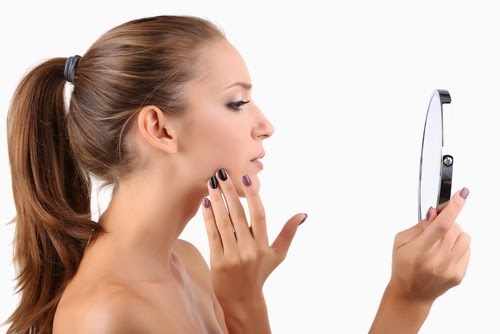 Microdermabrasion will make your skin feel soft and silky with a healthy glow. Contact the SHAW Center at (480) 767-1900 for further questions or to schedule a skin consultation!